Do you want to be a competent, confident and compassionate facilitator? Please note: Our Advanced Diploma of Group Facilitation 2019 is now booked out. You’re welcome, however, to contact us to discuss the course and go on our waiting list. Working well with groups to harness the wisdom of everyone present, for the best outcome, requires more than experience in the role of running a meeting or leading a team. Development of effective communication and leadership skills, self-awareness and actively applying compassion are all required to be a good facilitator. Our Advanced Diploma of Group Facilitation offers a depth of practical material in a course that is experiential, interactive and a bit of fun. We offer eleven units, developed from our extensive experience of what is needed for you to become a facilitator who can make a positive difference. We have a strong emphasis on emotional resilience and facilitation micro skills. This is applied to working with different types of groups, and your own particular facilitation challenges and opportunities. Our Advanced Diploma is the most practical and comprehensive facilitation education available in Australia. Our approach provides a high level of support to ensure your current skills, knowledge and awareness flourish. Participants who have been working with groups for years find this education powerful and empowering; the course is consistently rated highly by a diversity of facilitators working in a broad range of settings. Conducted in a group setting so you can always see and feel how skills are applied, contact days are ‘supportively challenging’. You will learn great things about yourself and provide a much stronger and more practical foundation for your facilitation skills. There are no prerequisites for the Advanced Diploma of Group Facilitation 10386NAT. The only requirement is a capacity to practice and apply your facilitation skills and understanding developed during the course. Open to beginners through to ‘old hands’. This diversity enriches the group’s learnings. Prospective participants are required to attend either an Information Session, or have a one-on-one interview with us before being accepted into the course. There are 11 units in total, delivered over 19 contact days. These contact days are divided into eight blocks over an eight-month course year, with assessment continuing for a further 3 months. Course content has been developed based on our extensive experience of what you need to know practically for effective facilitation practice. These units meld together relevant theory and practice. There is a strong emphasis on developing facilitation micro skills which include developing effective communication skills and leadership development. We explore the facilitator’s role working with different types of groups as well as welcoming participants particular challenges. We believe there is no teacher like practice! There will be work in large and small groups, roleplays, sociodrama, inner work, and exercises using art and drama techniques, personal reflection and fun! People will be supported to have a go at different learning techniques. Click on any course unit below to read an overview. The more we understand ourselves, the better facilitators we will be. Becoming conscious of unrecognised ‘drivers’ can dramatically improve our facilitation capacity to first facilitate ourself! Therefore, self reflection is threaded throughout the course. getting to know and working on the fears and other self limiting messages that hold us back as group facilitators. Facilitation practice needs to have a strong, clear value base. As facilitators we need to be able to articulate our values and principles, for ourselves and for the groups we facilitate. A competent facilitator needs an array of interpersonal communication skills. The Groupwork Centre has clarified and extended these by developing our own set of facilitation micro skills. Many of these skills may be well known to you, but never before articulated in such a useful way. So much of what goes on in groups has an emotional content. Much of it is to do with our unconscious. It is understanding these dynamics that enables the full potential of the group to be realised. Participants will learn to identify the signs of unconscious dynamics and their effect and develop the skills to work with these towards the group’s purpose. Field Theory – understanding all the ‘players on the unconscious field’. A collection of individuals is different to a group. A group has the capacity to achieve great things together. To develop the most appropriate process, we need to balance leadership, planning, flexibility and a willingness to negotiate with the group. Organisations have their own function, structures and culture. As facilitators, it is desireable to have frameworks to guide our work with organisations. Competency in this arena is strategic for career development. All groups are required to make decisions throughout their life as a group. This unit is especially useful for facilitating effective work team or task group outcomes. the decision making process, and how to facilitate it. Most of us have fears and avoidance behaviour around conflict. As facilitators, this will have a negative impact on our work. We need strategies to deal with our own and other’s feelings and reactive behaviour. This area is often overlooked in the study of groupwork. Yet marginalisation can take many forms and brings with it myriad challenges for facilitators. We ignore it at our peril! To remain focused in our work we need to be personally centred and in good shape. We all know it is essential to take care of ourselves, however, this is easier said than done. We give you skills and processes you can immediately take back into your facilitation endeavours. Our Model of Facilitation will address your challenges and build on your experience and strengths. Why Study with the Groupwork Centre? Our approach helps build actual emotional resilience. You will develop the ability to land on your feet, no matter what happens. The way you learn is nourishing, helping to sustain you in your busy workplace. Learning together reflects the realities of group dynamics, so you will experience the facilitation skills being applied. All assessment tasks are tailored around your work and real life experience. We have a whole of person approach, acknowledging the importance of self reflection. People often use this course to ‘change gear’. Our unique models and processes are clear and simple. Your confidence will build as we step through them together. This is the highest government accredited facilitation qualification available in Australia. Participants are welcome to borrow books at any time from the Groupwork Centre library. Over the years, we have built up a specialised selection of books and resources that are practical and compliment the experiential nature of our approach. Two places in the course are reserved for people on low income. Your facilitation work may be voluntary, or is with an unfunded community group. The subsides price is $4,500, a 50% discount. If you’d like to apply, you need to attend an information session, either before or after you submit Part 2. What is your facilitation work? What is your area of work or experience? Why do you need a subsidised place? Please note that it’s highly likely that all full-fee paying places will be taken by the time we announce scholarship recipients. If you miss out on a scholarship, you probably won’t be able to take up a standard course enrolment. Please send your response to the above three questions by 21 February, 2020 to us via our Contact Us page. On the Contact Us form, complete your details then enter your submission in the Your Query section. Successful applicants will be advised by 28 February 2020. 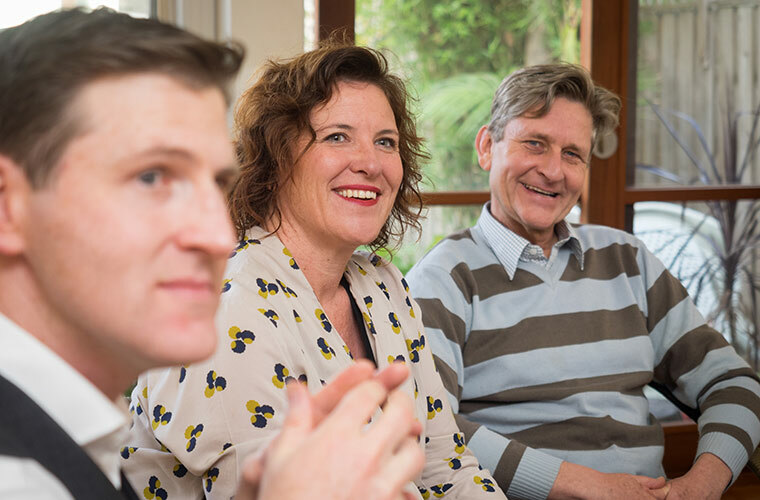 Victorian Facilitation Network – the local chapter of the Australasian Facilitation Network, which is the peak body for facilitation in Australia and New Zealand. This is a public forum open to all people interested in facilitation. Meetings run for two hours, once per month. Held at Commonground Conference Centre & Groupwork Centre Training Rooms. Early bird: $9,400 – deposit of $1,500 payable by Thursday 20 December 2018 to secure your early bird price. There is no GST for this registered qualification. Please note: Our Advanced Diploma of Group Facilitation 2019 is now booked out. You’re welcome, however, to contact us to discuss the course for 2020. Applications for two scholarship places open until 21 February 2019. Please refer to Scholarship Places section on this page. All fees are paid in instalments over the course year (except for Early Birds who pay their $1,500 deposit by 19 December 2018). Instalment schedule below. Note: There are no extra costs! Please note: Our Advanced Diploma of Group Facilitation 2019 is now booked out. You’re welcome, however, to contact us to discuss the course and go on the waiting list. Discount available: You can have a discount of $220 off the total price if you have attended one of our Facilitation Training 2-day public short courses. We recommend that you attend an info session as part of your enrolment process. You can do this before or after you make your booking. I don’t quite have the words to express how wonderful, unique and life changing the course is.